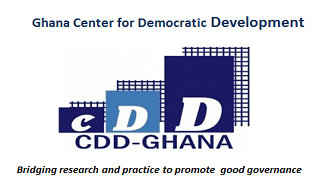 PRESS RELEASE, collected from CDD-Ghana’s webpage. The Ghana Center for Democratic Development (CDD-Ghana) and the NorGlobal Network, have hosted Ghanaian scholars and practitioners in the field of democracy and governance to share insights on the political, economic and social threats to democracy in the country. Dubbed Breaking Backlash Against Democracy (Breaking BAD), the workshop provided the platform for stakeholders to discuss the manifestations and dimensions of democratic backlash in Africa with regard to what rights are being restricted, when and how these restrictions take place, as well as the response strategies adopted by both domestic and international actors. The Breaking BAD project is spearheaded by the NorGlobal Network, a team of scholars and researchers from Europe and North America. The project aims to develop empirical basis for understanding the scope, causes, responses to and effects of the backlash against democracy across Africa over the past decade. Using qualitative and quantitative analysis of data and case studies in six countries – Ghana, Zambia, Malawi, Kenya, Zimbabwe and Tanzania – the team seeks to decompose democratic rights along four dimensions: contestation rights, participatory rights, judicial independence and gender rights. According to Lise Rakner, Principal Investigator and Professor at the University of Bergen, although African countries are adopting legal restrictions on key civil and political rights that form the basis of democratic rule, there is little or no discussions to systematically and comprehensively understand the scope, causes and effects of the different types of restrictions, including political and social restrictions. Participants for the workshop in Accra were drawn from civil society, media, the academia and other relevant state institutions. Findings from the Breaking BAD project are expected to help enhance civil and political rights and prevent democratic backlash. See re-published press release on AllAfrica.com here. This entry was posted in Democracy & Law on July 6, 2018 by Lisa-Marie Måseidvåg Selvik.